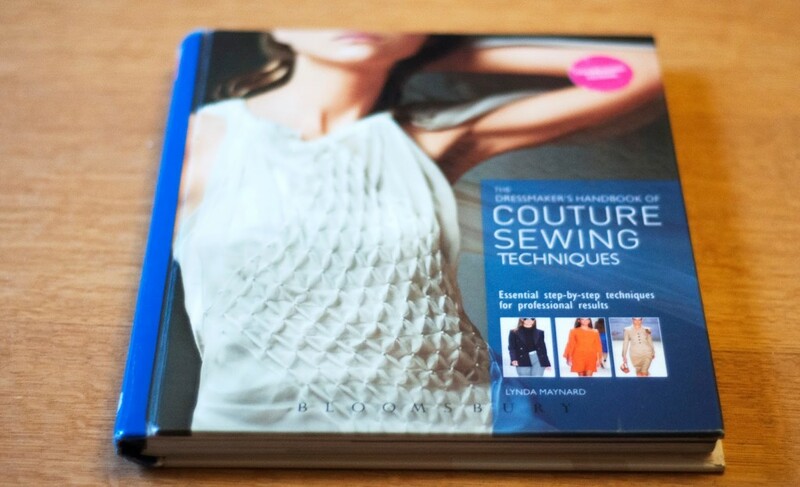 When I’m at the library I’m always prowling the sewing books section. And am almost always disappointed since most books caters to the same audience, i.e. 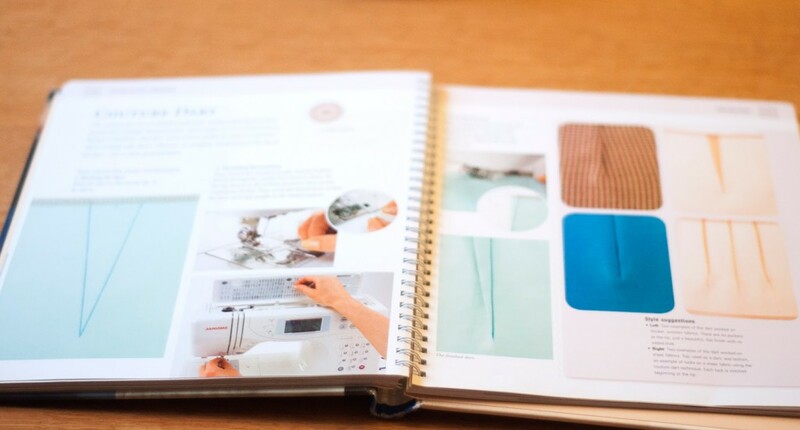 beginners and they almost always rehash the same sewing instructions that can be found already in trillions of other sewing books.But on my last visit a new book caught my eye, it’s called Dressmaker’s Handbook of Couture Sewing Techniques (Amazon affiliate link) . 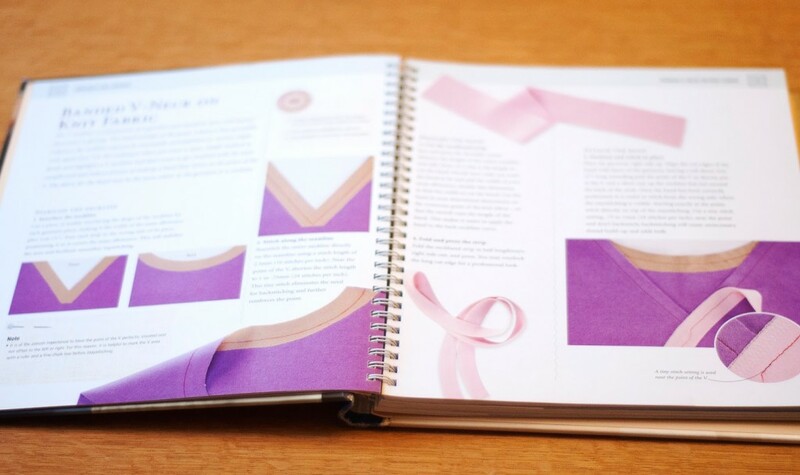 And has wonderful pictorial instructions on everything from from making a banded v-neck on knit fabric to making a very time consuming and elaborate waistband that doesn’t roll. 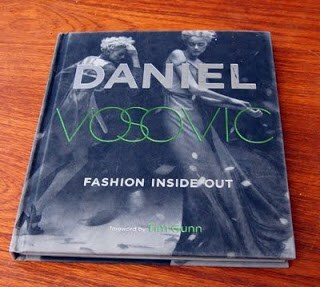 The “Couture” wording is misleading though and so is the cover that shows an elaborate smocking technique that is not in the book. 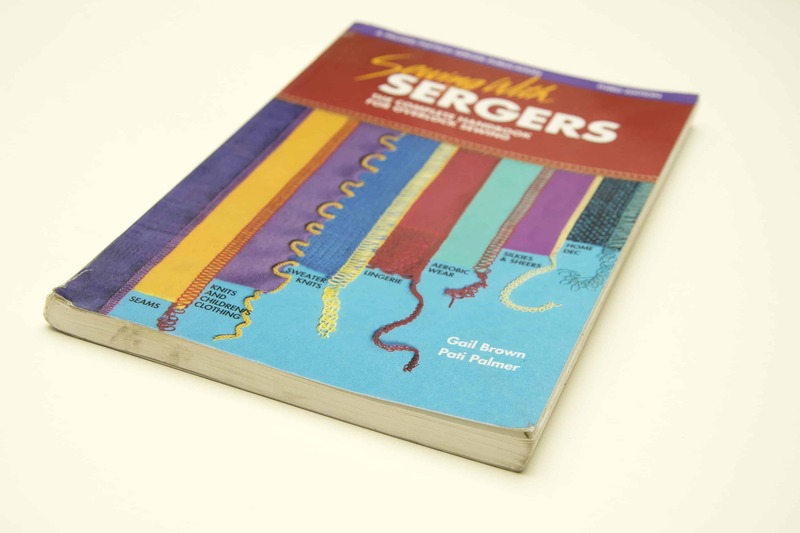 In fact there isn’t much hand sewing in this book at all, instead a serger is used for several projects and there even a few tips for knits. So I would rather say that this a book on how to do high end looking techniques in a fairly easy manner. Thus makes it a great choice for a beginner who wants to expand their knowledge or an intermediate sewist who are up for a challenge without feeling overwhelmed. Also the instructions are really well laid out, very clear and the photo driven visual layout of this spiral bound edition is similar to the Dorling Kindersley books. Plus it has a few techniques that I have never seen before like a flip-out pocket with a zipper that works both as a hidden pocket and a pouch, thus making it perfect for travels. Another cool idea that is new to me is how to make a collarstand that has an hidden ribbon for decoration. So I highly recommend this book! 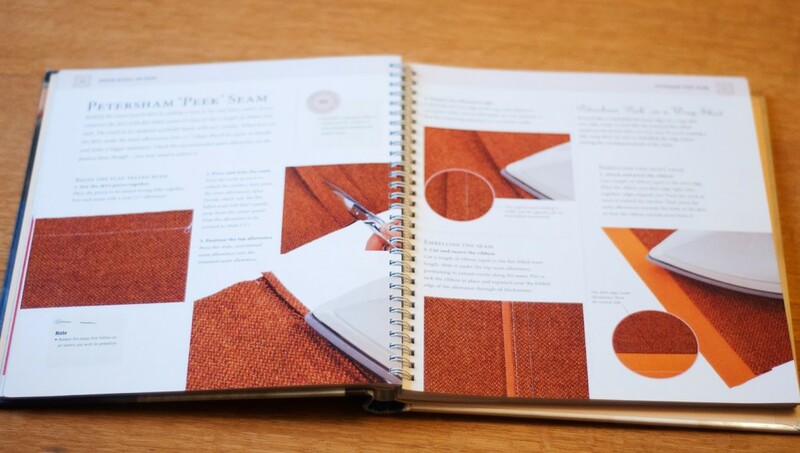 The author of this book Lynda Maynard also teaches some craftsy classes. I have 2 of them which are really good.